Coach Bus Charters Toronto has the experience to ensure your group is well taken care of. 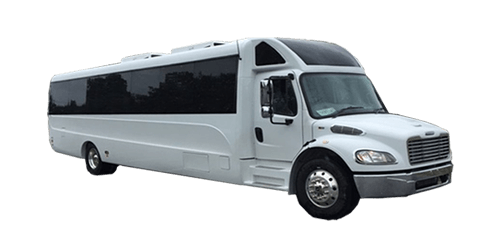 We specialize in quality and affordable transportation for any group size and type. As one of Toronto's largest prviately owned fleets you get the personalize experience of a smaller coach service only our large fleet offers top class comfort, safety and most important reliability. Our large fleet means we can charter anywhere from 15 - 600ppl. This will save you time and money compared to trying to book with multiple companies and the best part is we offer affordable rates for just about any budget. Toronto to Niagara, GTA to Montreal, We go anywhere! Fully licensed for cross border travel, our charter and shuttle style buses can get you from Toronto to Niagara Falls, Pickering to Mississauga, Montreal to Toronto or even Halifax to California. There is no limit to how far we will go with clean well maintained washroom facilities, on board entertainment and the latest in air ride technology for a silent and comfortable nap. "We hired Coach Bus Charter Toronto to transport our group from Toronto to Niagara Falls and were very impressed. New style coach bus, clean washroom (which is rare), friendly driver, on time and the best part is they had very affordable rates. I will definately use again." Did you know Coach Bus Charter Toronto has affordable rates to fit your budget? We are not a bus broker like many of the other sites which means we are able to offer cheap prices direct to our customer base. Not only that you will be dealing directly with us which means better service, less confusion and more accountability. We are the best for a reason! Private Bus Charters is what we do best! We know the comfort of your guests is whats most important and so Coach Bus Charters Toronto will ensure comfort and class. 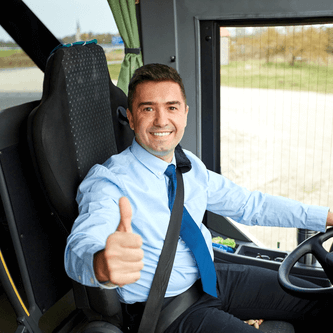 Our drivers are trained to be accomidating and friendly. Need a hand with your bags? No problem, we are here to help! "I was really excited when CBCT reached out to me for a testimonial for their new website as I have been renting coach buses with them for years and can't express enough how great they really are. Always friendly staff and really good people. Buses are always clean and drivers are very experienced. Thanks again!"